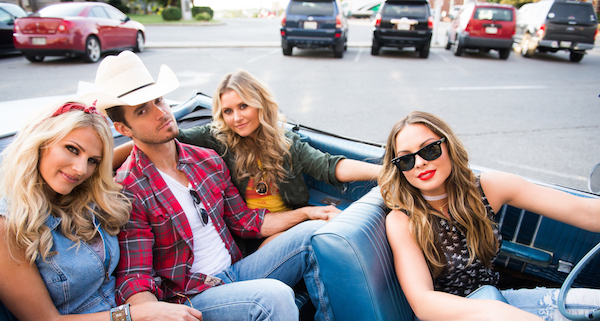 Directed by Peter Zavadil, the throwback-style video features the ladies of Runaway June embarking upon a Thelma & Louise-style, cross-country road trip where the trio picks up a handsome stranger, played by Luke Pell from ABC’s The Bachelorette. The premiere of “Lipstick” is the latest in a series of November notables for Runaway June. Last week, the trendsetting trio was named a 2017 CMT Next Women of Country act, one of Pandora’s “Country Artists to Watch in 2017“ and one of Rolling Stone’s “10 Country Artists You Need to Know.” Last, but certainly not least, Runaway June was chosen by Carrie Underwood to be the star’s background vocal group during her sizzling performance of “Dirty Laundry” at the 50th Annual CMA Awards. The sassy and swaggering “Lipstick” is a Top 40 hit and rising – making Runaway June the first female trio in a DECADE to earn a Top 40 hit on the Mediabase Country Airplay Chart.